Over the weekend, Sula Vineyards was in in Nepal launching their wines and also hosted a party with its exclusive importer and distributor –R.C. & Co. at the Radisson Hotel, Kathmandu. Sula Vineyards started exports to Nepal in 2012 and has received a tremendous response on their wines since. Wines currently exported to Nepal include Sula Seco, Sula Brut, Sula Sauvignon Blanc, Sula Chenin Blanc, Sula Zinfandel Rose, Sula Shiraz, Sula Zinfandel, Dindori Shiraz, Dindori Viognier and Sula Late Harvest Chenin Blanc. With the rise of wine culture in Nepal, and the vibrant tourist market, the launch aimed at increasing the presence of Sula Vineyards in its neighbor country among trade and consumers. The event was attended by a majority of Kathmandu’s and also other parts of Nepal’s restaurateurs and hoteliers. 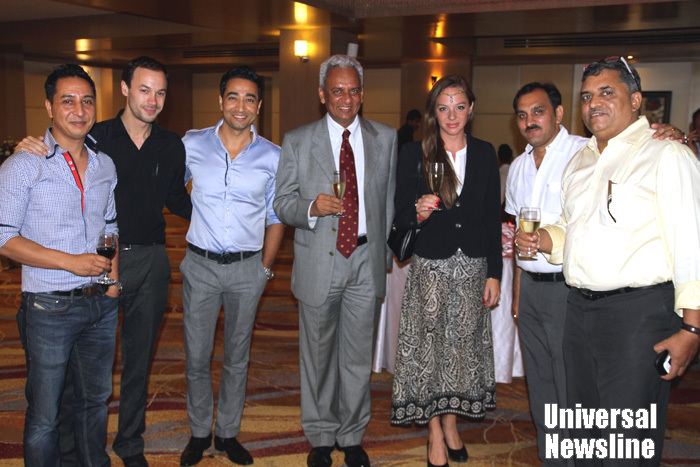 The Indian Ambassador to Nepal, Mr. Jayant Prasad also enjoyed Sula’s wines at this memorable soiree. Sula Vineyards enjoys 70% market share in India and exports its wines to 20 countries across Asia, Europe, the Middle East,United States and Canada. Their wines have won many awards, recently a Silver Medal at the Decanter Asia Wine Awards. At the Indian Wine Consumers Choice Awards, 5 wines received Gold Medals. Sula Vineyards has identified the need to incorporate tailor-made strategies for different markets. Hence, Sula uses the expertise of its representatives to not only understand the demands of the market but to capitalize on their mutual strengths to achieve success. For Sula, it is very important to have a fine balance of on-trade and off-trade channels for supply that complements the requirement of the market.